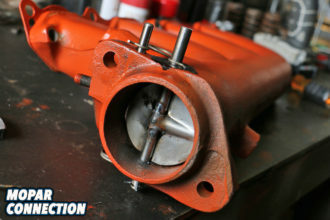 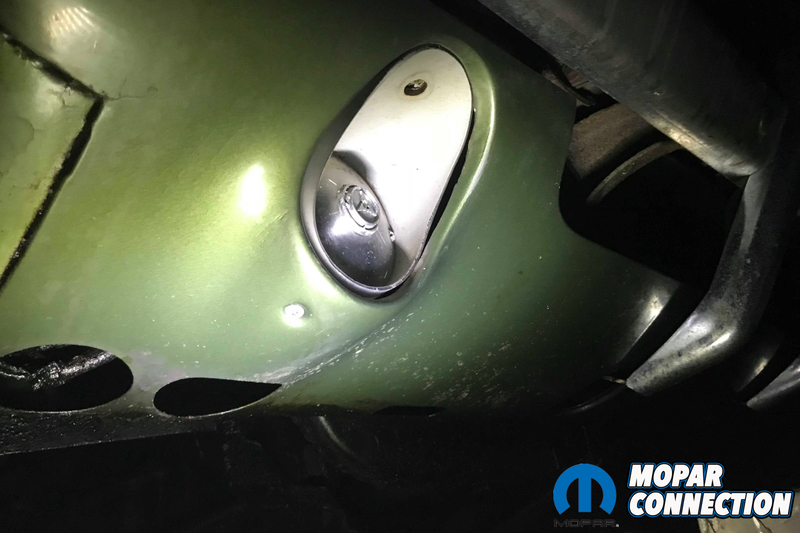 There is no doubt that the world works in strange ways, especially so in the automotive world. 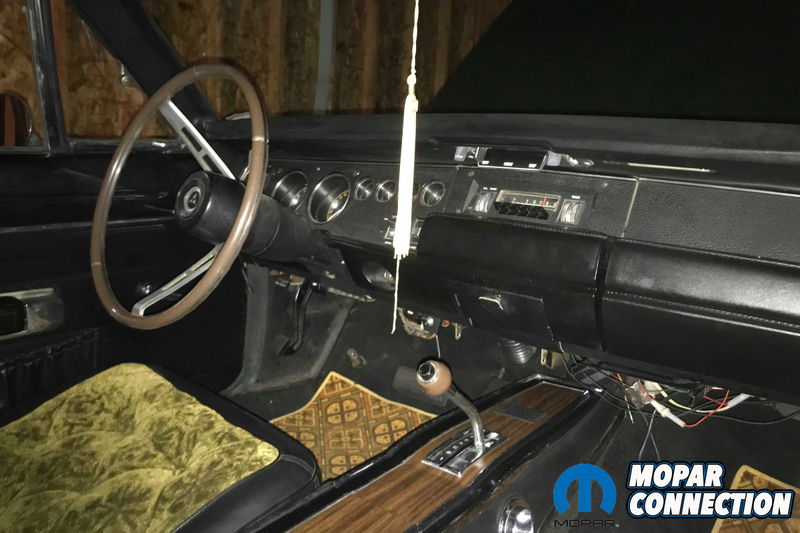 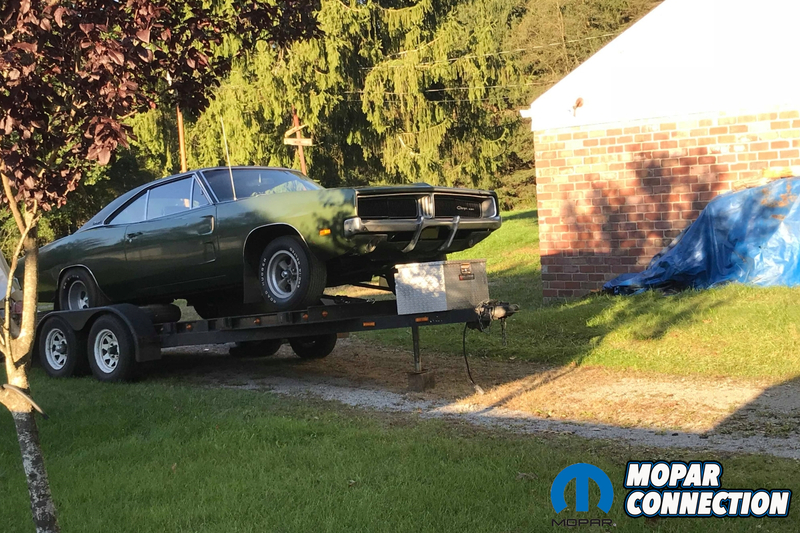 With a little bit of luck and some fate tossed in on the side, sometimes a cool car drops out of the sky and right into your lap when you least expect it, such is the case with Bill Woessner from Pittsburgh, PA. See, Bill loves his 1970 Dodge Chargers. With a nice sized collection of ’70 R/Ts in his garage, it’s safe to say Bill has the market somewhat cornered on them. 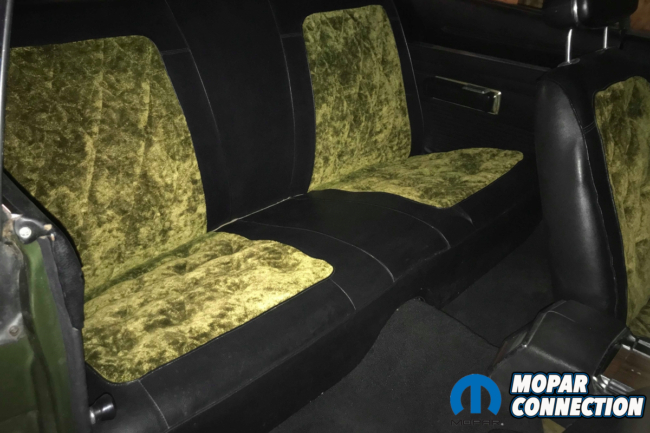 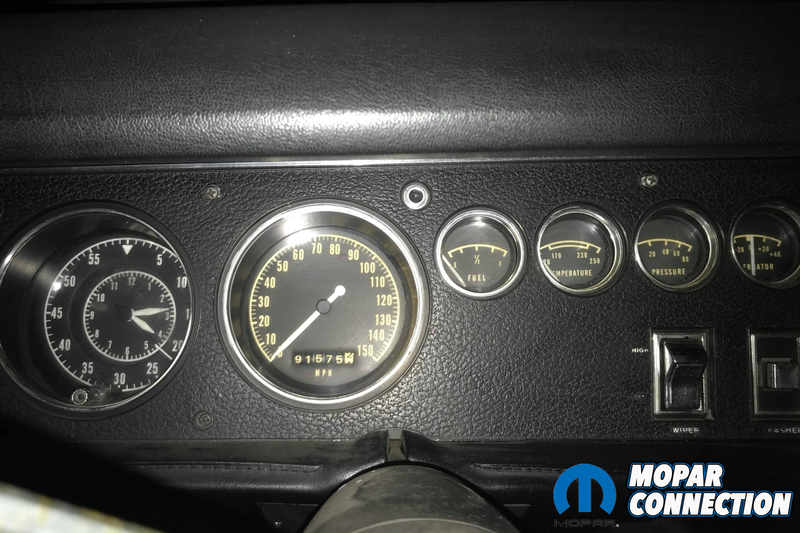 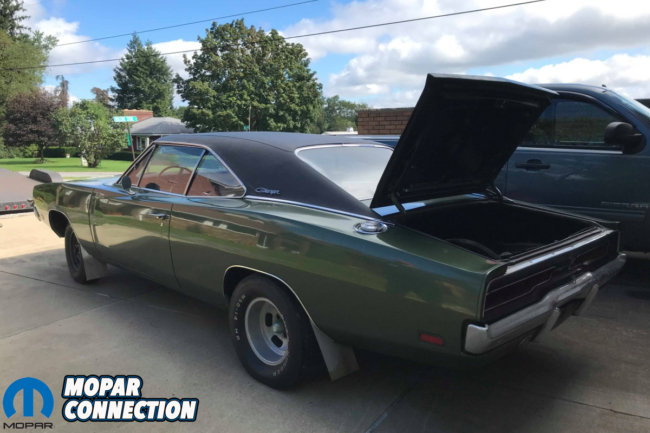 When Bill contacted us about a Mopar he found and purchased recently, we weren’t surprised at all to learn that it was a Charger; however we were a little taken back when he mentioned that it wasn’t a ’70 considering his obsession with them. 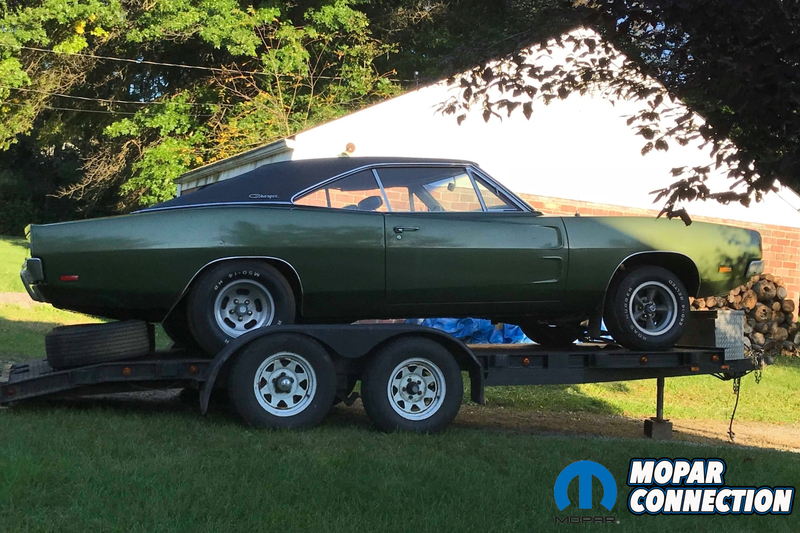 “Back in July, I received a text message from a Mopar friend of mine asking if I’d be interested in a ‘69 Charger that was a factory sunroof car. 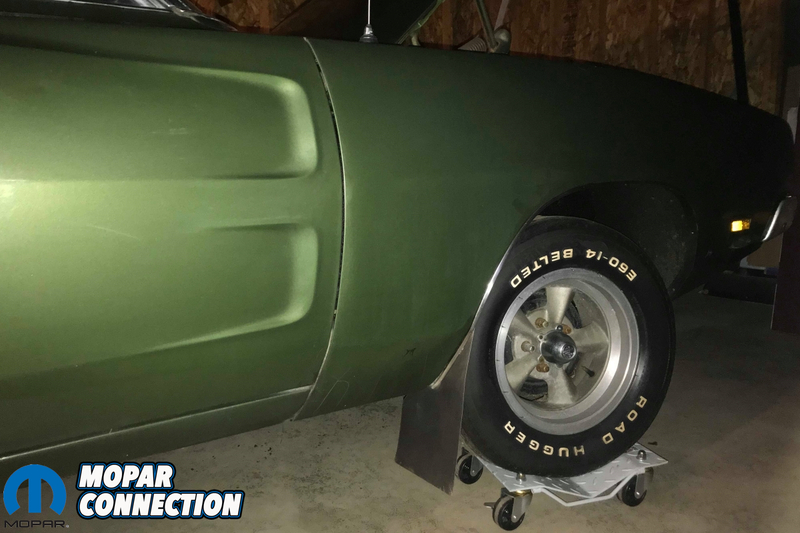 At first I thought he was pulling my leg knowing that I’m a die-hard Charger guy but that quickly changed a few days later when he texted me a picture of the car,” shares Bill. One of Bill’s most prized ’70 Chargers just so happens to be a real R/T SE sunroof car, so when he saw the picture of the ’69 with that rare factory hole in the roof, he quickly got in touch with the owner and made arrangements to look at the car. Bill tells us, “Upon arrival, I noticed a fairly modern garage behind the house where the Charger was stored. 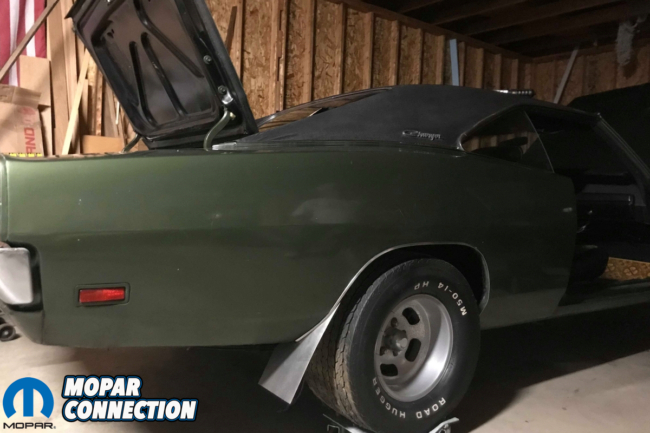 The old F8 machine was tucked in the back corner of the garage, as if she was looking for a visitor.” In speaking with the owner, he told Bill that he had purchased the car from a local Pittsburgh auto auction back in 1971 when he was just 18 years old for $1,800. 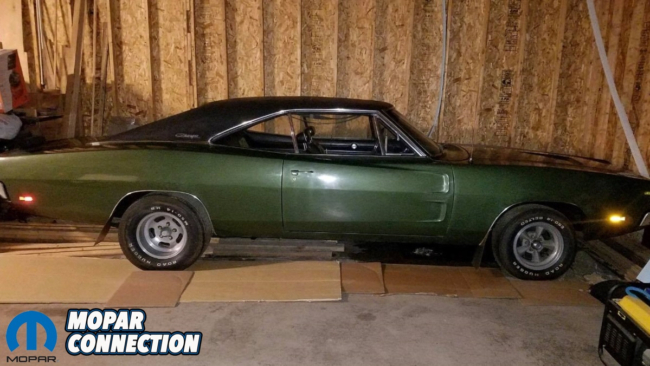 “Coincidentally, this auto auction was basically in my backyard from where I grew up and reside today,” says Bill. 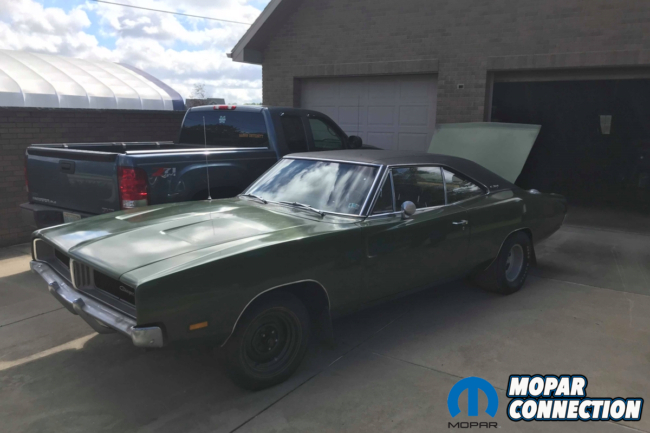 The Charger came from the factory as a pretty basic XP29 Charger with a 383-4bbl engine and 727 Torqueflite automatic transmission. 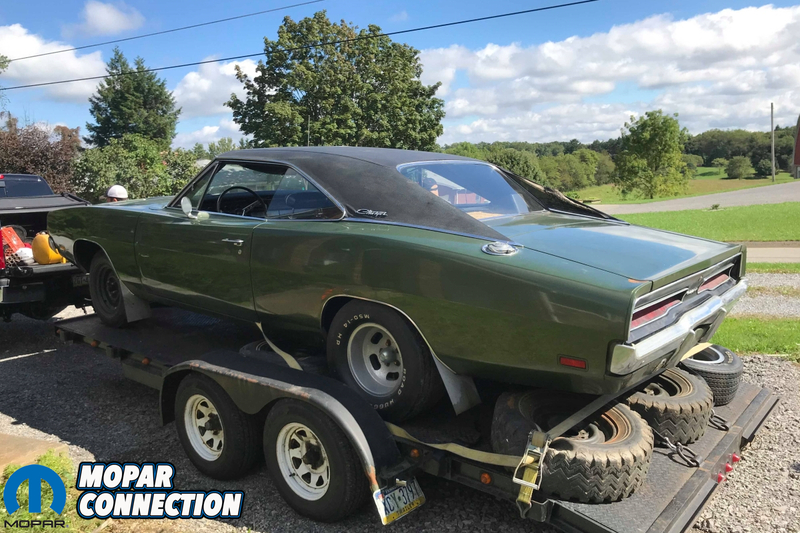 The car was F8 Green with black interior and optioned with a center console, power brakes and three-speed wipers; pretty standard Charger stuff. 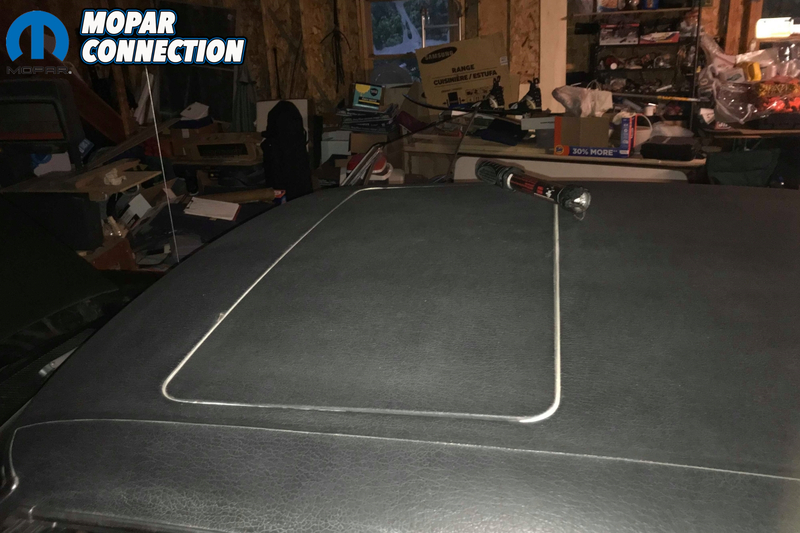 The option that makes this one so cool is the M51 power sunroof. 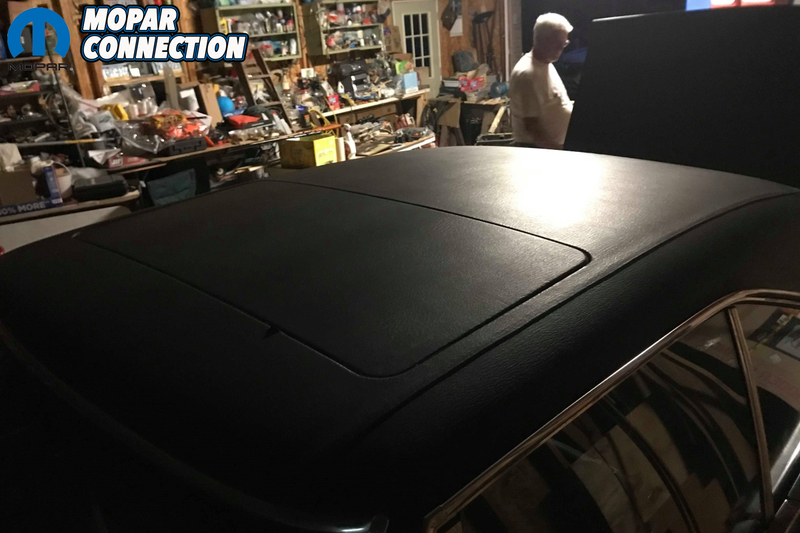 While sunroof cars don’t have M51 on the fender tag, the first three digits of the order number will be “928” for sunroof cars, as it is with this one. 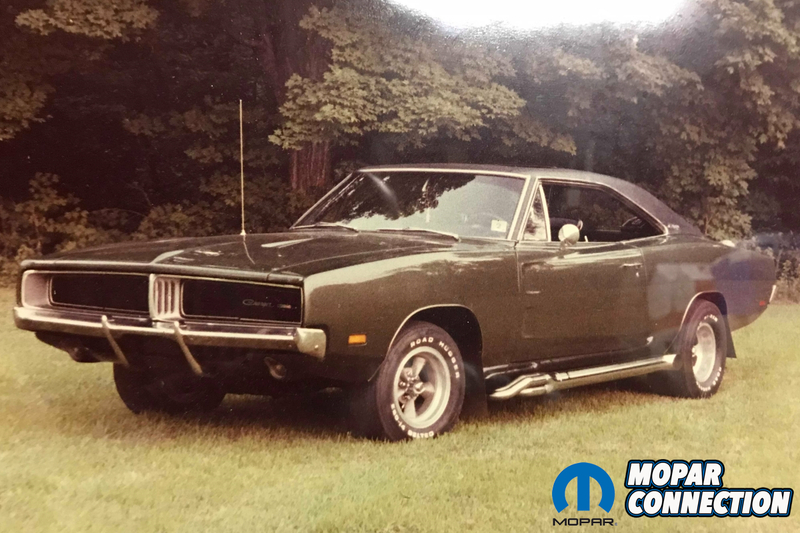 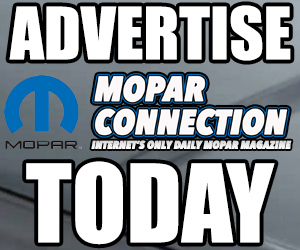 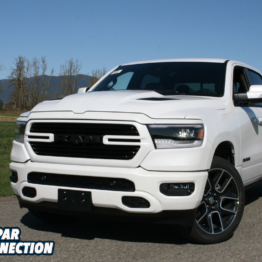 According to the Mopar Sunroof Registry, cars that were ordered to have a power sunroof were started on the assembly line and then pulled off the line at a certain point to be shipped off to ASC’s (American Sunroof Corporation) Detroit facility. 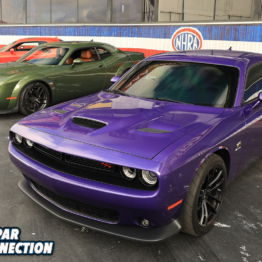 After ASC installed the power sunroof, the cars were shipped back to the factory where final assembly was completed. 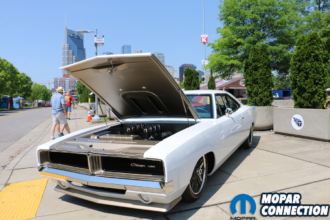 Life got busy with four children so the Charger sat until 1983 when he decided to have the Charger spruced up a bit. 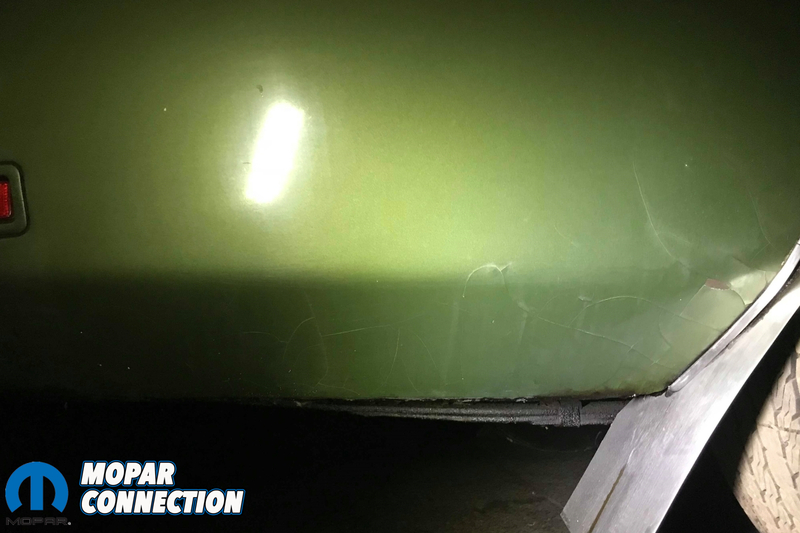 The car was sent to a local body shop in Butler, PA to be repainted and undercoated. 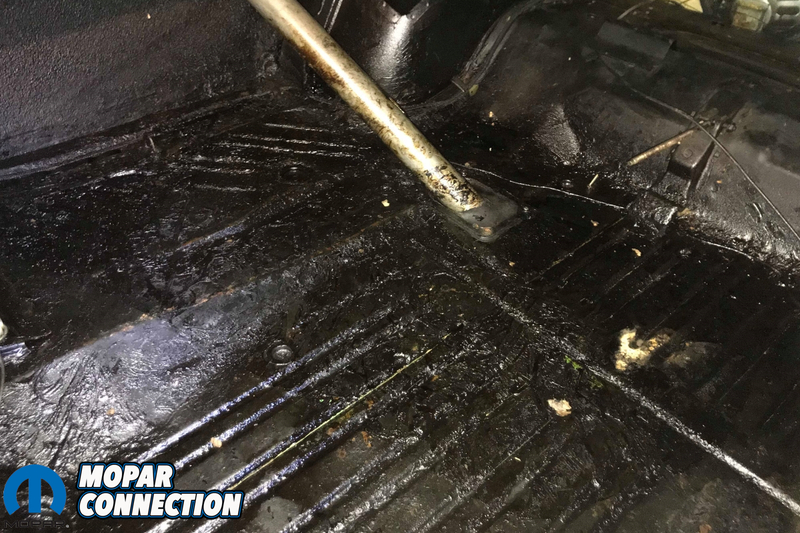 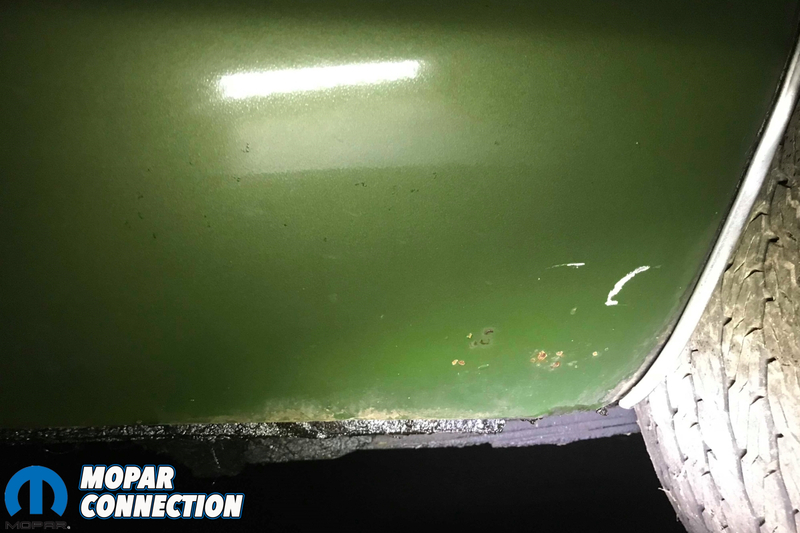 “This particular shop was well known for their sloppy, greasy, slimy undercoating and rumor had it that local mechanics charged extra to work on any vehicle that arrived with this mixture smeared underneath,” says Bill. 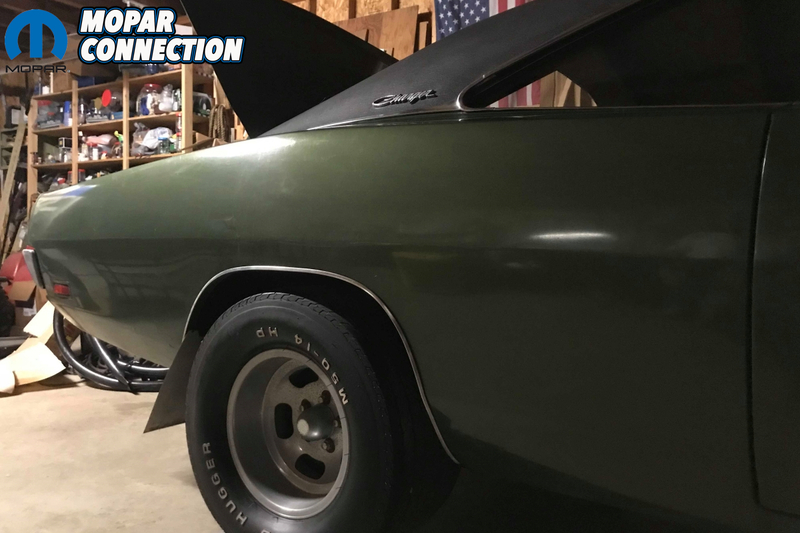 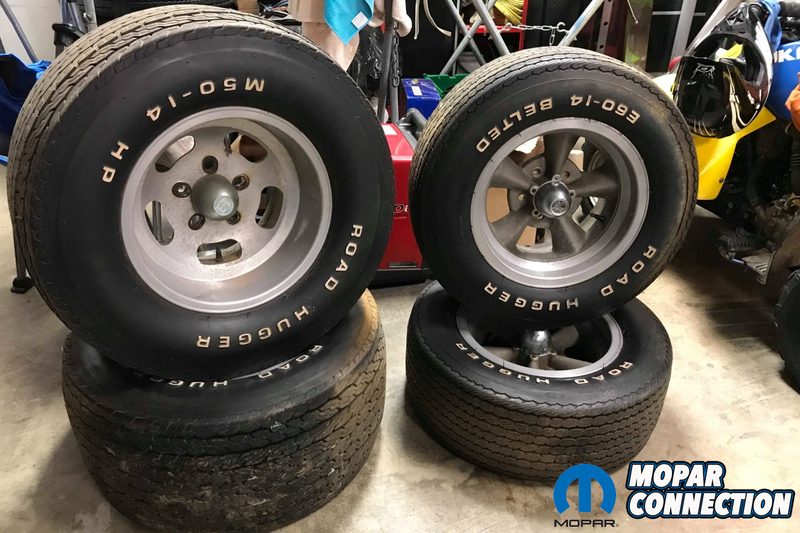 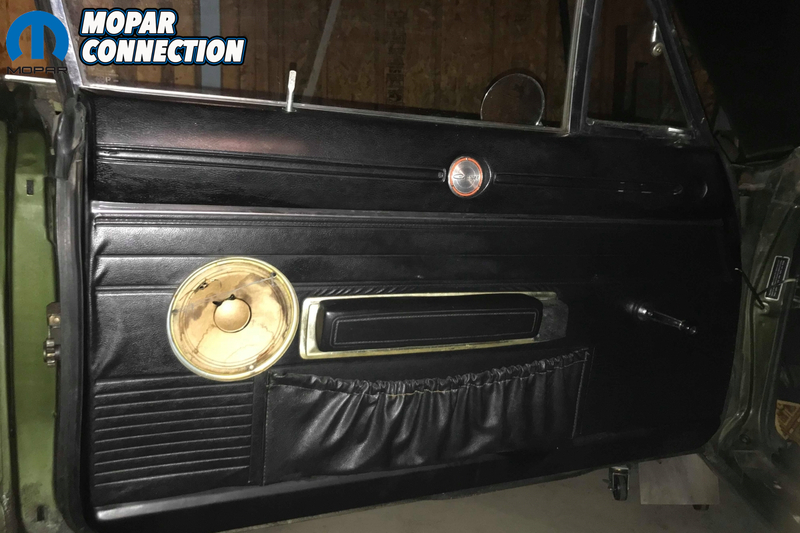 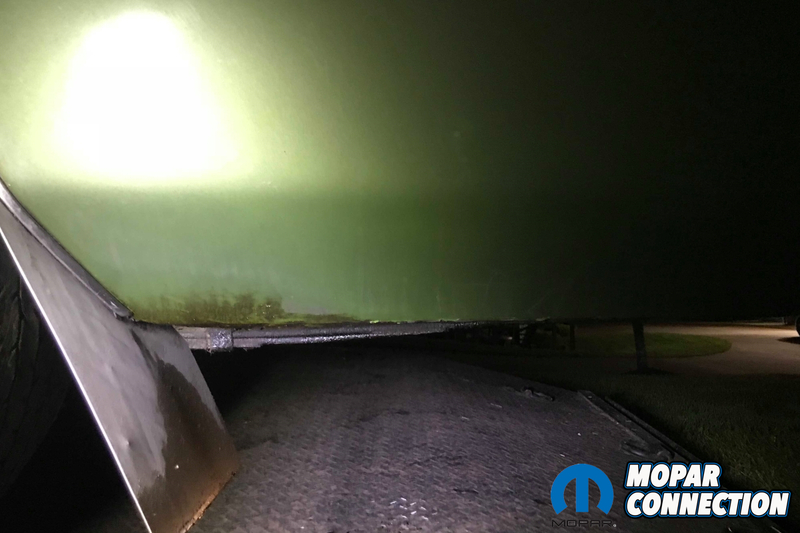 The front fenders began to show signs of rust so they were replaced with brand new Mopar sheet metal in addition to the front inner splash shields. 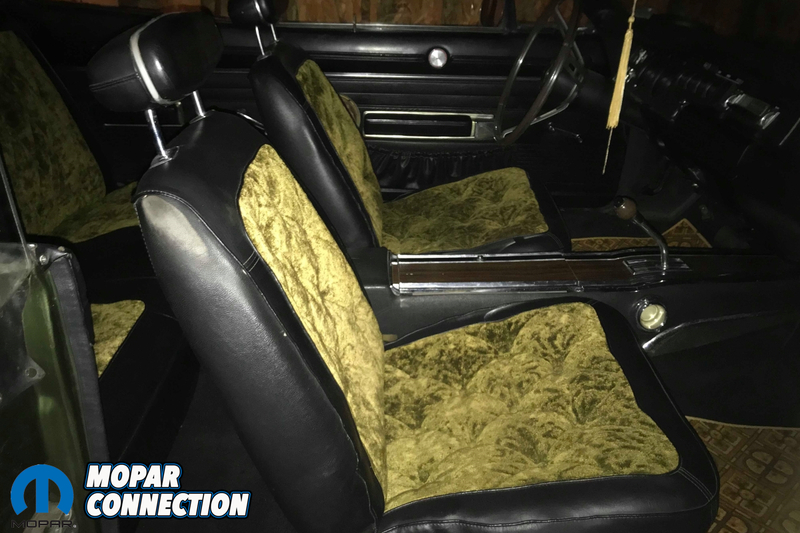 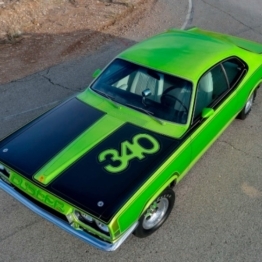 Once the F8 green paint was resprayed, he installed a set of chrome side pipes in favor of the factory manifolds, added stainless steel mud flaps that he had custom made and had crushed green velour seat inserts added to the original black bucket seats. 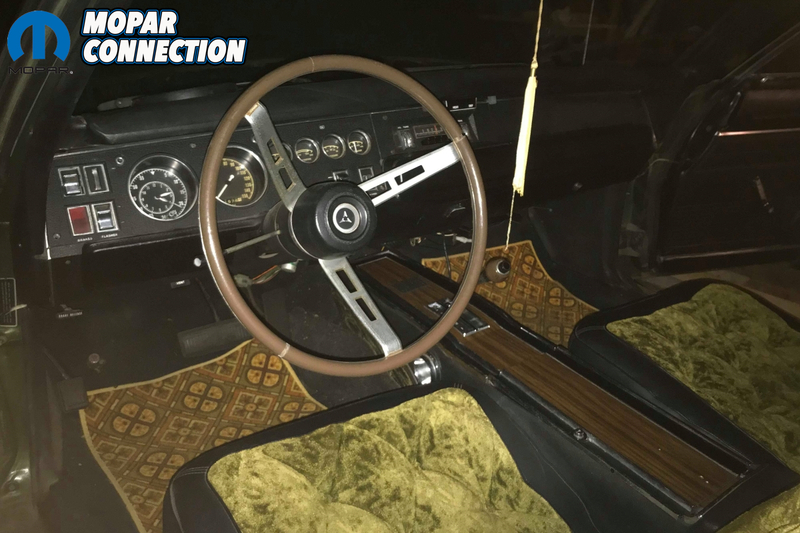 To complete the now ‘80s era look, a then-modern stereo was installed under the dash and the wheels were switched out to a set of aluminum slot wheels with M50-14 tires on the rear and Torque Thrusts on the front. During his initial visit with the Charger, Bill immediately confirmed that the drivetrain was numbers matching. 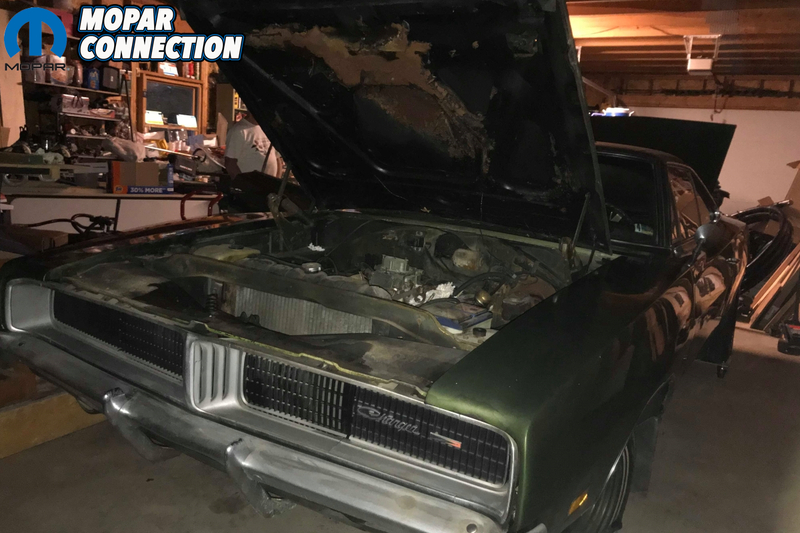 The original distributor, alternator, starter, air cleaner and carburetor were all intact and the heater box was in the trunk with the original jack, lug wrench and spare. 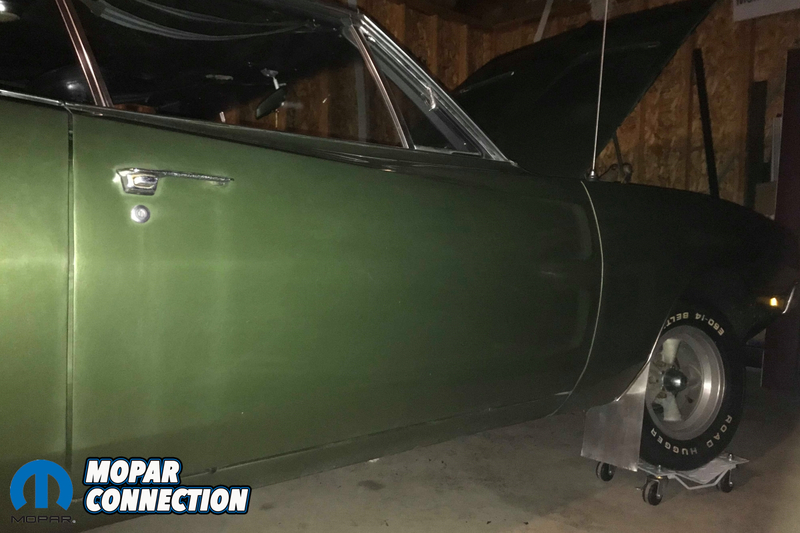 The original green painted steel wheels were stacked in the corner along with a new heater core in the box. 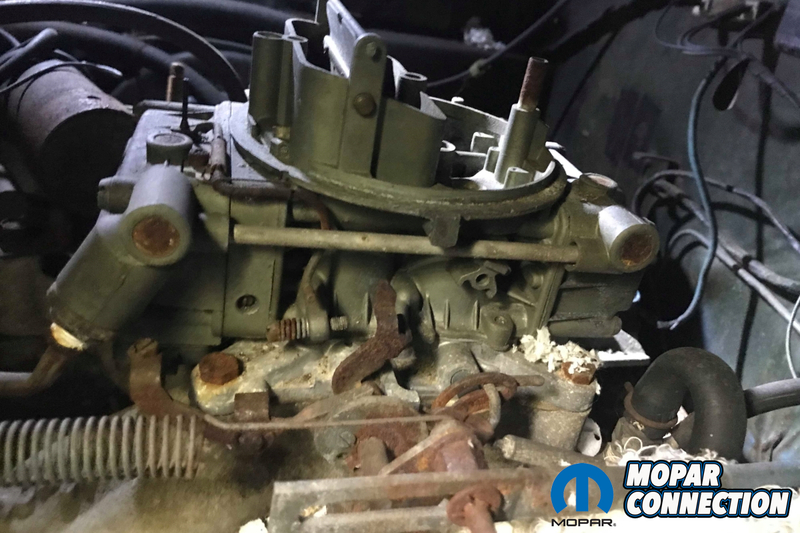 The only items that were missing were the original valve covers, intake manifold and exhaust manifolds which he said he had in the attic but was never able to find. 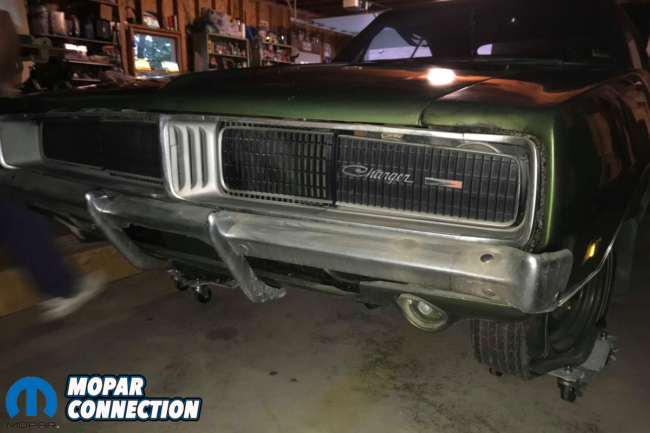 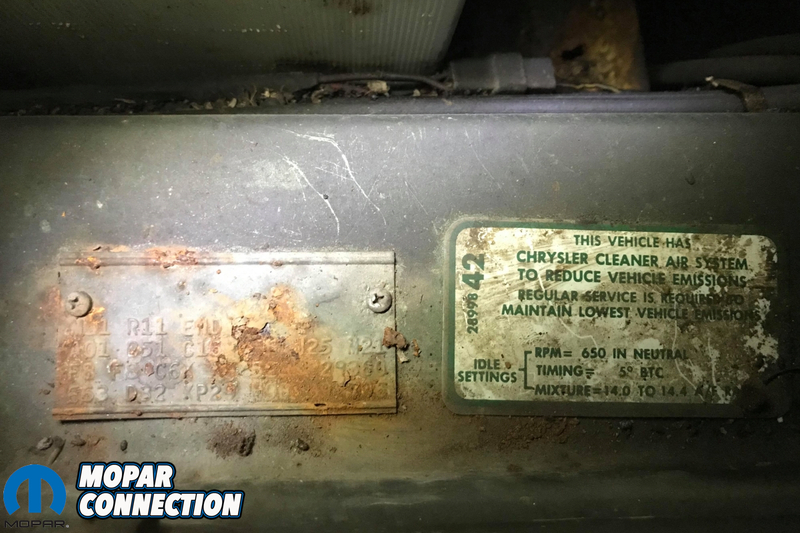 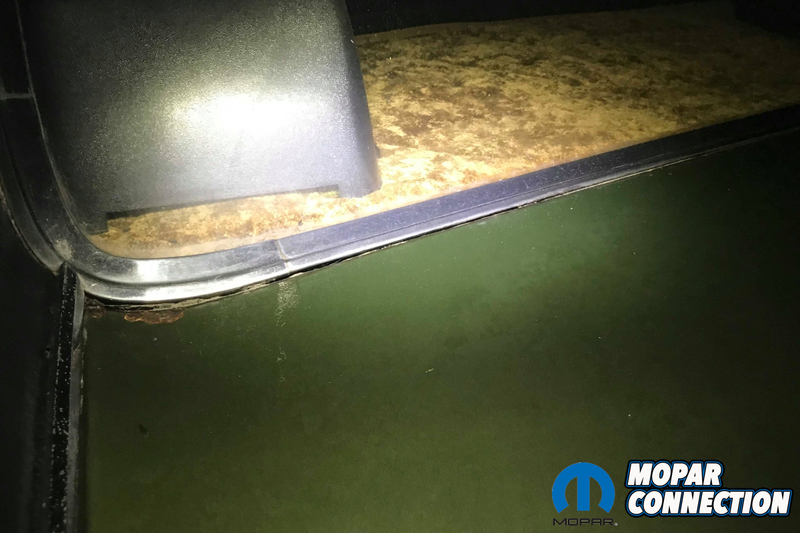 The body on the Charger appeared relatively solid with only a few issues on the driver’s side floor pan and the rear valance; both common areas of rust on these cars. 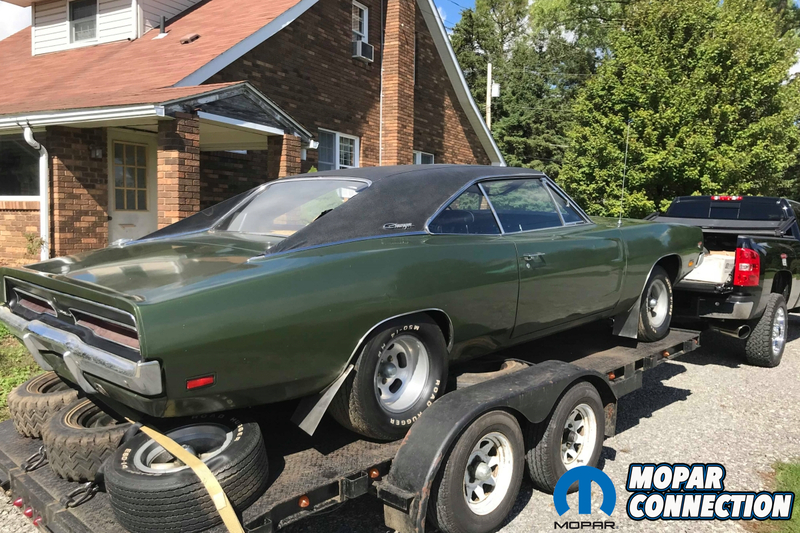 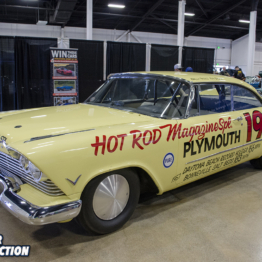 The frame rails were in solid condition, the interior was complete and the engine turned over by hand so Bill knew he just had to have it so he made an offer. 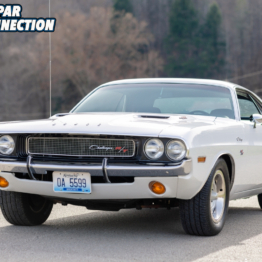 The owner wanted the car to go to a good home and after reviewing Bill’s offer for a few months, he finally accepted. 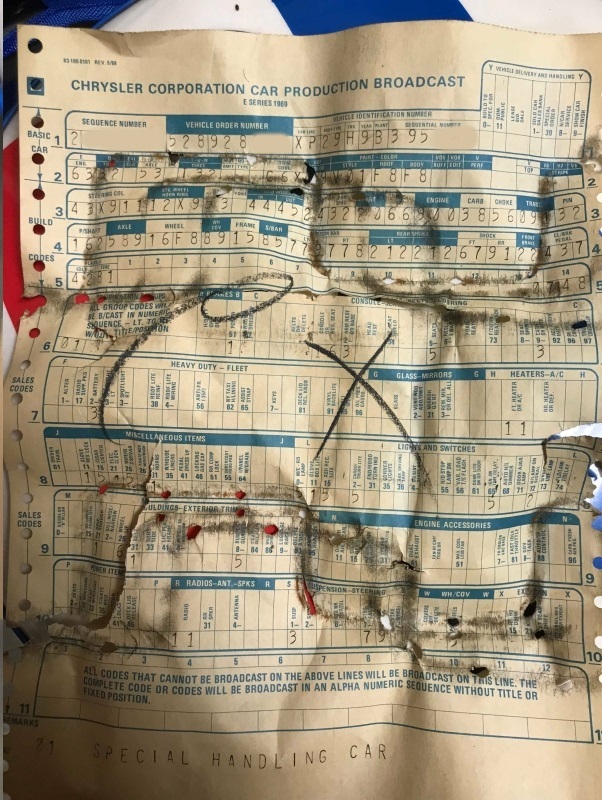 Once Bill got the car home, he found the build sheet under the back seat and validated it to the original fender tag. 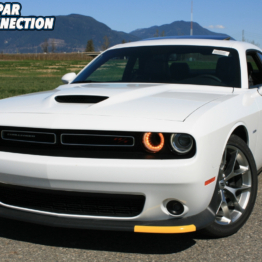 please will someone explain to me why in the past did people put 2 different kinds of mag/rims on their cars. 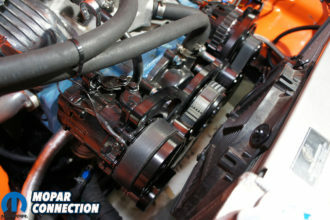 i have asked some people and i got only that they were bucks down and could not afford 4 mags with new rear rubber. 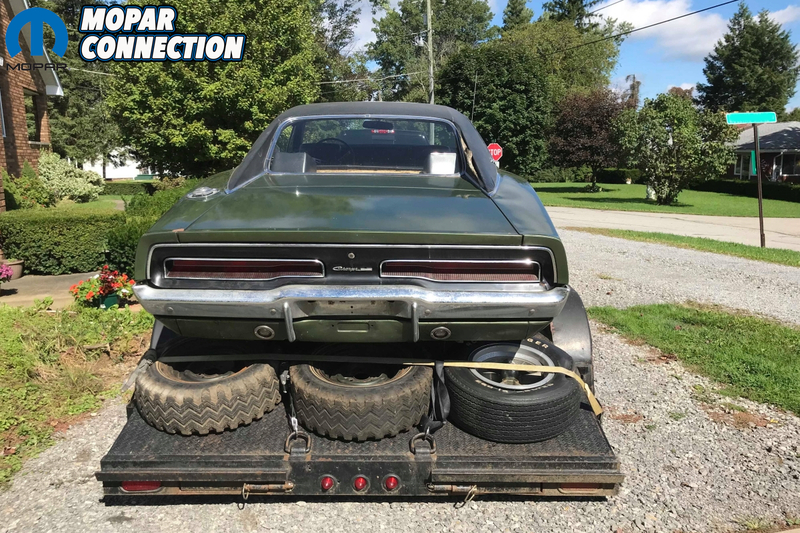 i also understand the fact on racing day the rear’s were replaced and after a fun day at the track were replaced with street rubber and matching rims again. other than that i am confused. 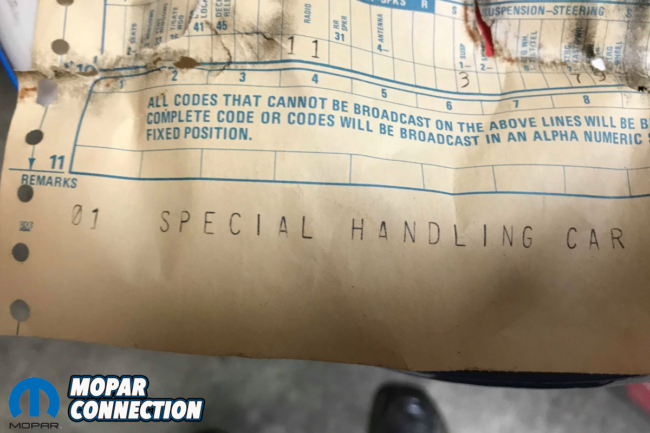 in my personal opinion, it breaks not makes the car.